Growing and producing 8 single varieties of apple juice on the Sandringham Estate in Norfolk The pick you own season for the 2018 season is now coming to a close. We are now shut midweek but will reopen on Saturday 6th and Sunday 7th for a final fling! There will be Cox and Bramley to pick and there will also other varieties subject to availability. 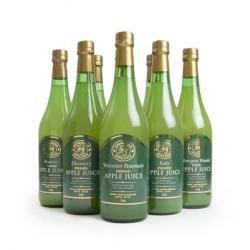 Our award Apple juice and cider will also be available to buy on the day. Opening times are 1pm until 5pm Saturday and 10am until 5pm on Sundays.